Ever since I saw this book on a Buzzfeed “Books to Read in 2016” list earlier this year, I knew I had to get a hold of this. Despite having read many Middle Eastern lit books before, I have to admit that much of this region of the world is still a mystery to me–the people, their customs, ideology, and of course, their Islamic religion–and my curiosity always calls me back to this setting to find out more. When I learned that this book had a gay character, I knew I had struck gold here with a unique character in a unique, often misunderstood setting. 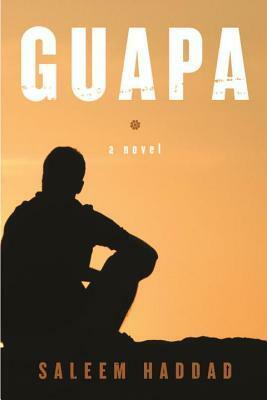 Guapa follows twenty-four hours in the life of Rasa, a young, twenty-something gay man in an unnamed Middle Eastern country. He lives with his domineering grandmother and works for a small company that provides language translation services to Westerners. At the beginning of this story, Rasa’s grandmother catches him in bed with his lover, Taymour, and Rasa flees the apartment he shares with her in shame. From a series of flashbacks and present-day storytelling, we learn about the numerous conflicts Rasa deals with: his mother’s abandonment when he was a child, his father’s death, his time in America and the beginnings of his political activism, various social upheavals in his home country. We also get a glimpse into his relationship with Maj, a politically aware drag queen who performs at a local underground gay bar. The story also examines Rasa’s coming to terms with his own sexuality at a young age, and finally, his relationship with Taymour. This story is split into three parts. The first part deals with Rasa’s present, the second part goes back to his past. There was some momentum lost with the second part and a lot of boring details, although the upper hand was quickly gained again in the third and last section. I won’t tell you what the third part consists of (it’s too spoiler-y), other than to say that it brought the entire book into perspective. I highly recommend this book, especially if you have an interest in how marginalized characters discover their identity in the face of cultural taboos. Not bad for a first time author. At all.